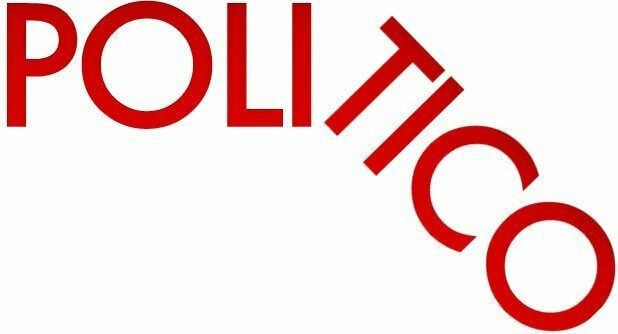 The Politico news website is known for its political coverage in the United States, posting stories on a wide range of topics, mostly cataloguing the infighting in the nation’s capital. But more recently, the site strayed into territory outside of its comfort zone, into science and the controversial issue of agricultural biotechnology — GMOs and the pesticides used by farmers, organic and conventional — and its ideological naiveté and lack of science expertise showed through, much to the embarrassment of the political news site. 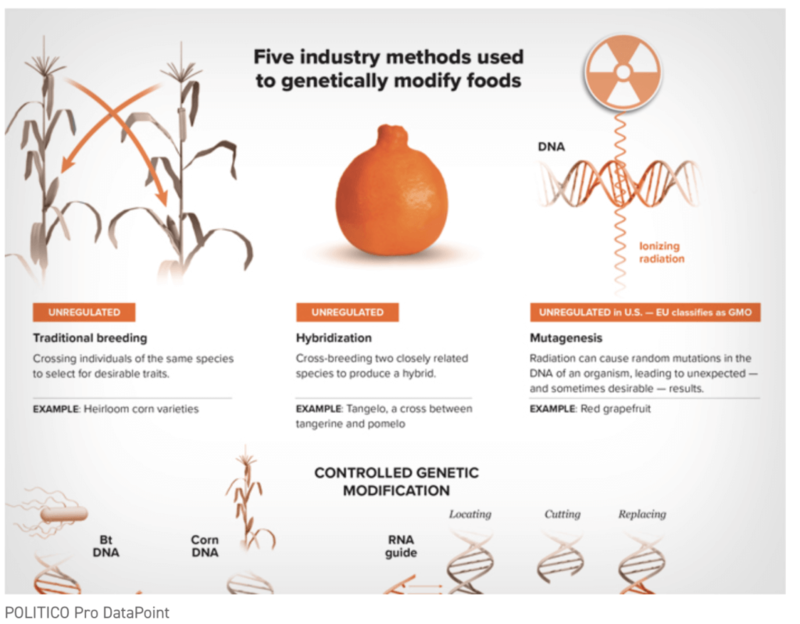 The site’s graphics editor, Patterson Clark, who has no background as a working scientist or journalist writing about crop biotechnology, produced an infographic that illustrated how food has been genetically modified by corporations, and purported to offer a “deep dive” into gene editing — for as much $9,500! But the information they offered was poorly sourced and inaccurate. And when given the chance to address the actual science behind the issue of breeding, they declined. The free version of Politico displayed an infographic that appears to have been a watered down interpretation of one that appeared on the Genetic Literacy Project site a few weeks previously. Clark and Politico botched the free infographic, mislabelling “gene editing” as “mutagenesis.” Mutagenesis is a different process, entailing subjecting seeds to radiation or harsh chemicals to create millions of random mutations. 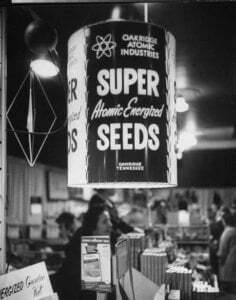 Over the years, ‘atomic energized seeds’ as they were once called have led to more than 2,000 fruits, vegetables and other foods. Love organic Ruby Red sweet grapefruit or durum wheat used in gourmet Italian organic pasta? They are products of mutagenesis. Mutagenesis is unregulated. Unlike classic transgenics, which have been used to create biotech seeds that its opponents label ‘frankenfood GMOs,’ gene editing works within the genome of a plant, which is why in most countries, including the US, it’s regulated more along the lines of conventional breeding rather than as a GMO. That regulatory trend alarms traditional GMO critics who have come to loathe biotechnology, claiming it encourages a “corporate stranglehold” over seed creations — even though gene editing is so inexpensive that it is effectively challenging the concentration of power found in agro-business. 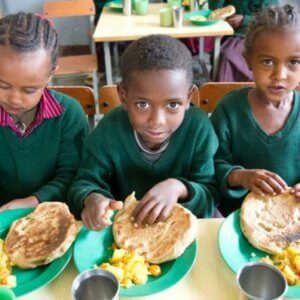 Environmentalists love it; most anti-GMO campaigners, who cut their eye-teeth on opposing a different but related technology — transgenics — hate it, because it threatens to undermine their campaign against modern agriculture, which is poised to adopt CRISPR gene editing — unless countries, spooked by the GMO controversy, adopt punitive regulations. That’s already happened in the European Union, which, standing almost alone in the world, rejected guidance by its science advisors and instead imposed nearly 20-year old regulations designed to regulate GMOs, effectively banning gene-edited crops. As a result, the European science community is in rebellion against the politicization of agricultural research and farming. While the original graphic appeared in the free section of Politico, it served as a teaser to get media outlets or concerned readers to pay more. Another version of the graphic appeared on a version of Politico that requires a base “Politico Pro” subscription of $8,000, plus an additional “Data Point” feature that costs $1,500, according to a subscriber to the service. When contacted by the Genetic Literacy Project (which was cited as one source for the graphic although no one at Politico contacted the GLP or any science-based media organization or science expert), and after the GLP provided a list of scientific blunders and out-of-context claims in its infographics and commentary, Politico reconsidered its wording. After internal consultations with Director of Pro Graphics Todd Lindeman, graphics editor Patterson Clark informed us that they had decided to modify the paragraph — barely. Politico ignored GLP’s suggestion to consult with more mainstream critics of crop biotechnology such as New York University’s Marion Nestle or Washington University’s Glenn Davis Stone. Stone and Nestle are, like almost all critics of crop biotechnology, outside the scientific mainstream but they at least have solid, university credentials. It substituted the phrase “Agribusinesses” to replace “GMO business.” It added the National Academy of Sciences as a “proponent” (note in the original version it cited only “GMO businesses and US federal regulatory agencies” as organizations that claim crop biotech seeds are safe, when in fact more than 280 global agencies have come to the same conclusion and not one reputable regulatory or research agency has claimed that foods from genetically engineered seeds pose and dangers). It additionally changed the last sentence to read “Critics contend that ruling out a correlation would require thorough studies,” without changing the bizarre quote lifted from Robinson, Antoniou and Fagan. Politico did not respond to numerous follow up questions from the GLP about its news gathering and sourcing policies after the graphics editors changed the paragraph in the graphic, but did appear to threaten the GLP, sending a question asking if the GLP was funded by Monsanto [GLP receives no donations from corporations and as a non-profit is required to report its donations to the Internal Revenue Service; read GLP policies here], which is the contention of Robinson, Antoniou, Fagan, and the websites they support. Even in its revised form, the claims illustrate a significant misconception of how science is carried out, and elevates one group of anti-GMO activists. Science is not a political enterprise, conducted by “debate.” Someone’s opinion or financial incentive is not equivalent to data, reliably obtained and verified through peer review and (sometimes) replication via further testing. In the case of genetic engineering of seeds, there is an overwhelming scientific consensus that genetically modified crops and foods are safe. While individuals and organizations may have moral or societal objections to genetic manipulation, about 2,000 studies, published in peer-reviewed journals and presented at professional meetings, have not uncovered introductions of disease (chronic and otherwise) and have not shown any adverse effects on health. So far, hundreds of scientific societies have determined that GMO food poses no harm. Because of this consensus, regulatory agencies, including the US FDA, USDA, National Institutes of Health, European Food Safety Authority, European Chemicals Agency, HealthCanada, Food Standards Australia New Zealand, the British Medical Association and the French Academy of Sciences all have determined that credible science has found no detrimental effects in genetically engineered food. The trio cited by Politico as the ‘reasonable’ half of the supposed debate over GMO food safety are associated with the Maharishi International University, based in Fairfield, Iowa, the global home of the transcendental meditation (TM) movement. Robinson, Antoniou and Fagan are considered fringe even among biotechnology skeptics, which is saying something. Robinson is the co-editor of GM Watch and creator of the GMOSeralini website, a hub for disseminating Seralini’s activities and views. Fagan is an emeritus professor at Maharishi University and a long-time opponent to genetic modification in food, and the founder of what is now called FoodChain ID, a company that tests food for the Non-GMO Project as well as for submission to the USDA’s National Organic Program. He also founded Earth Open Source, a London-based group propagating anti-GMO messaging. Antoniou has published with Séralini, declared that glyphosate, an herbicide formerly known as Roundup and used with plants genetically modified to resist it, is toxic (no credible scientist has shown that it is), and has defended the retracted Séralini paper. Many Maharishi followers claim that they can levitate and fly, thanks to TM. One devotee is Jeffrey Smith, the former Marketing Director at Genetic ID under Fagan. Smith, the author of Seeds of Destruction and producer of the documentary “Genetic Roulette,” was a ballroom dance instructor before becoming a flying yogi and critic of GMOs. Robinson, Fagan and Antoniou’s book, “GMO Myths and Truths,” published in 2015 and a similar paper in 2012 published by Earth Open Source present the correlations quoted by Politico. Their findings also have been criticized by legitimate scientists. The chronic diseases cited by the three (and by Politico) as potential warning signs that genetic tinkering could create health problems include Parkinson’s, diabetes and non-Hodgkin’s lymphoma (NHL). The correlations between GM and all these diseases do not — as even these authors admit — translate into causation. Current scientific research on all these diseases have shown a host of risk factors, such as obesity in cancer and diabetes, an aging population and certain (non-agricultural) chemicals with Parkinson’s and a range of risks with the at least two dozen types of NHLs, which have different causes, prognoses and treatments. No organization, not one, links any of these diseases to genetically engineered foods. 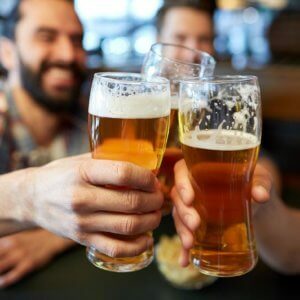 Moreover, not all chronic disease rates have been increasing, dramatically or in any other way—cancer rates, in fact, have dropped 27 percent in the past 25 years, according to data from the American Cancer Society. The correlation, then, is no more meaningful than another false correlation, that of autism and vaccinations (see chart below). Patented genetically engineered and conventional F1 hybrid seeds are, contrary to Politico’s graphics claim, accessible. They are for sale, and require a registration with the manufacturer, all of which are common practices by owners of intellectual property. Currently, for example, an order of GE Roundup Ready alfalfa can be purchased through seed dealers for $399—significantly less expensive than a subscription to Politico’s Data Pro. Herbicides, like other pesticides, are registered with the EPA and other agencies, and the makers are required to disclose active ingredients. Their formulations, which include certain additives like dispersal agents, emulsifiers, and other so-called “inert” ingredients, also are labeled. This is true of all pesticides, not just those applied to genetically engineered crops. Just as with any new, disruptive technology, genetic engineering has been met with resistance because of moral, ethical, or societal issues which apply to any type of agriculture. 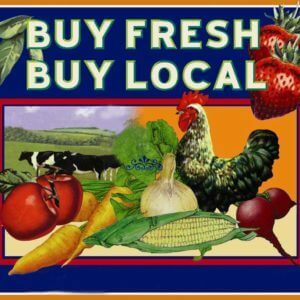 Should farms be local and family owned or run by corporations? Should any genetic change be applied to foods and crops? 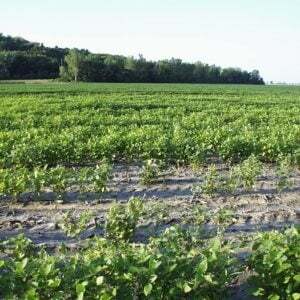 Can we trust politicians and other government officials to keep our food and crops safe? Professional resisters such as those associated with the Maharishi cult, which Politico chose to elevate into ‘science experts,’ have a financial incentive, including support for business that monitor GMOs and non GMO foods, organic food companies or suppliers [see GLP’s report on Seralini’s conflicts of interest and his ties to the organic industry], sell dietary supplements for profit, or file lawsuits against companies and/or government agencies, and profit from their legal involvement in cases. Political journalists like those at Politico have shown they can report on societal, and political divisions and issues. This subscription-only infographic sows doubts of their ability to report on scientific issues.